Although I’ve visited many workshops and factories over the years, I’ve never been to a tannery (a trip to Barker’s is way overdue). 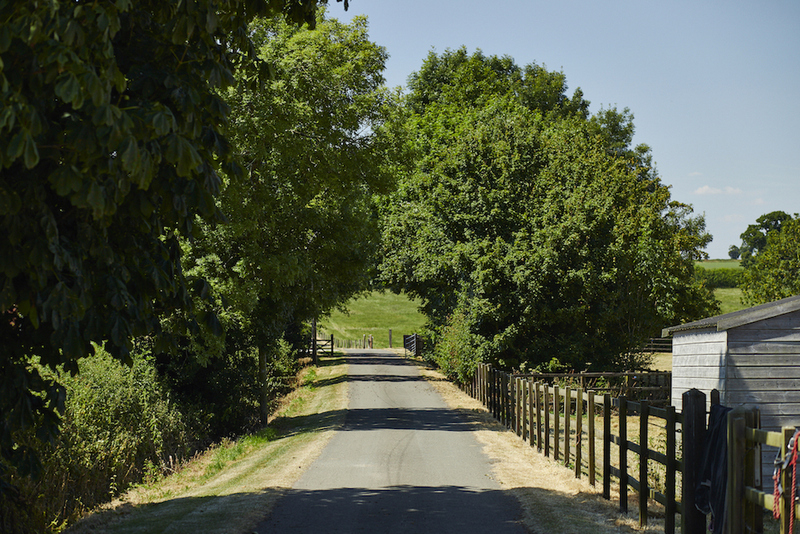 It was with particular interest, therefore, that I went to see the tiny operation set up by Jack Millington (below) in the stables of his parents’ farm. Jack also has a nice story. At one point a couple of years ago, he became interested in the skins from his father’s goats, which were simply thrown away once the animals died. Jack began to wonder if there was a use for this waste product – whether they could be tanned or in some other way re-used. 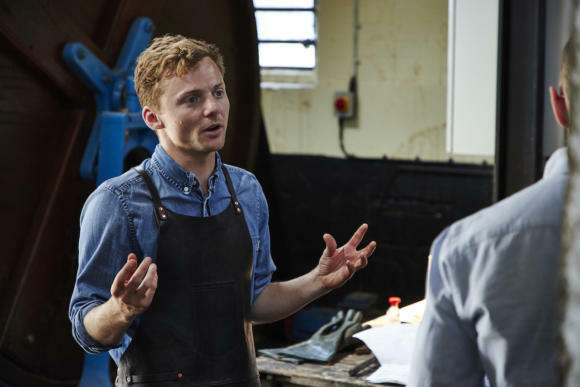 That led to conversations with nearby Northampton University, which due its proximity to England’s shoe industry, has a lot of leather expertise. Many people were keen to help. It turned out one man, who specialised in repairing and supplying parts to tanneries, had a couple of small drums sitting in his yard going spare. Paul Evans at Northampton University was particularly keen to help Jack get this off the ground, and began explaining how it would be done. In exploring markets for the leather, Jack also came across other goat farms that were bigger and had larger quantities of skins going to waste. Jack and his father got the two drums into their old stable (below - they barely fit) and started experimenting with tanning the waste skins – following a process Paul had set out in a colour-coordinated spreadsheet. Today, Millington Sr and Jr have pretty much got the process down. 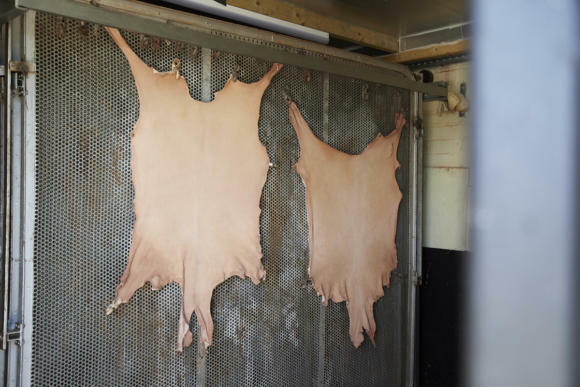 They’re producing tanned goat leather and making a few finished goods – under the brand Billy Tannery. 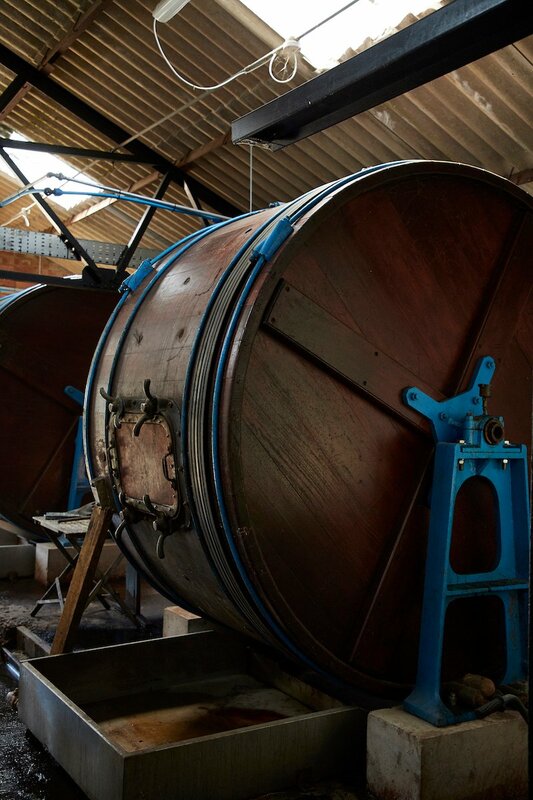 The tanning process comprises several stages, some here and elsewhere, and in different drums. The first takes place off-site. The skins have to go through a fleshing machine, to take off all the fat and the salts that are often used to stop them going off. This is done at Northampton (a new one would cost thousands). In general, by the way, the stages of the tanning process are all largely aiming to remove anything in or on the skin that could off in the future – and replace it with things that can’t. The first stage on the farm is liming. The skins are soaked in an alkaline lime solution to remove any hair. This happens overnight, with the drum turning for five minutes in every hour. Liming causes the skins to swell up and whiten. 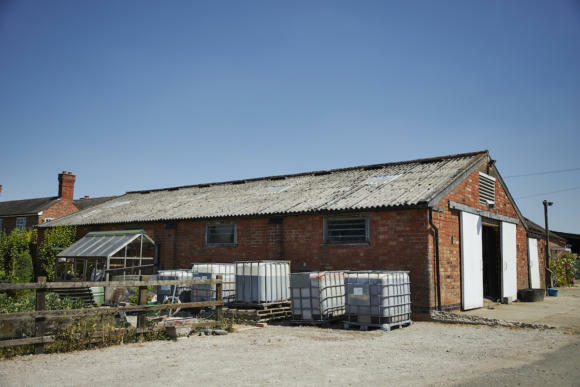 The lime is then drained (all liquids are kept outside the stable and re-used, which is nice in terms of sustainability). Then there's de-liming, where a weaker alkali is used to remove the lime, followed by bating. Bating is the process that used to make tanneries very unpopular. It uses an enzyme solution, which you can make from most animal products, including faeces. Today you can buy an enzyme solution and there is only a faint ammonia smell. At this point, the skins are moved to the other drum, for pickling. This brings the acidity down even further – and Jack will often test the skins for their pH level (using those old litmus-paper strips you may remember from chemistry lessons - above). Other tests during the tanning include slicing open the skin, to see how far something like iron has penetrated into the middle. Anything left untouched could eventually go off. These four stages are sometimes referred to as the ‘beamhouse’. What comes next is the actual tanning. This is where the tanner decides to make either vegetable-tanned or chromium-tanned leather. 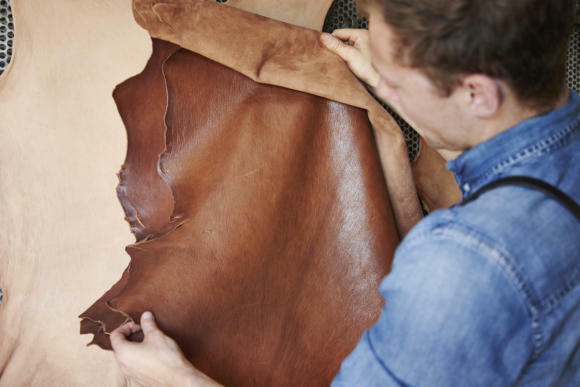 The vast majority of the world’s leather is chrome tanned, but veg tanning creates a richer, more natural colour and keeps more of the character of the leather. Veg tanning can be done with a huge array of natural materials. The best leather soles for shoes, for example, use oak bark – mostly at Barker’s in the UK, which also grows its own trees for the purpose. Jack tried out various materials for the tanning, such as chestnut, but found that mimosa bark was generally best for their goat skins. This he gets in powder form (below) from South Africa. The tanning is done overnight, with the skins soaking in a solution of this powder and water, turning as slowly as possible. There is a final stage – fixing – using a mild acid, an anti-mould solution and anti-iron together (veg-tan leather is particularly prone to stains from iron). Then the skins are washed and taken out to dry. 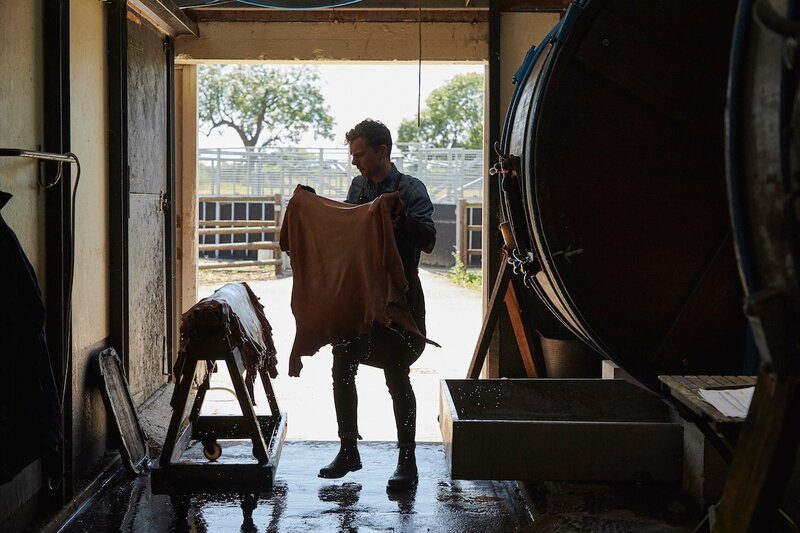 Jack is taking out the washed skins below, and putting them on a wooden horse to drip dry. One of the hardest aspects of tanning like this, in a small space, is controlling humidity and temperature. Tanning agents work best at particular temperatures, and keeping them there through the winter is hard. In England, drying is often hard too. Luckily England is currently going through one of its warmest periods for decades, but drying in typical wet weather is tough. The skins are pegged onto vertical racks – below – in a room with a heater and a dehumidifier. The pegs are there not to stretch the skins, by the way, but to stop them shrinking as they dry. Stretching would be something done to create a thinner leather, such as vellum. From here, these dry and pale-tan skins are sent to a finisher – Blenkinsop’s, about 45 minutes away. They may do a bit more tanning, but they specialise in hand-painting colours, adding prints (a lot of fake exotics use goat to stamp on), splitting the skin for a particular thickness, and finishing the suede side if that will be on the outside. The leather that results is something we can now recognise from our bags and shoes: the mid-brown you can see below. Jack is justly proud of the end result, although unfortunately his parents have also just moved to a new farm, so this whole tanning operation will have to be moved too. At least this time they’ll know what they’re getting themselves in for. 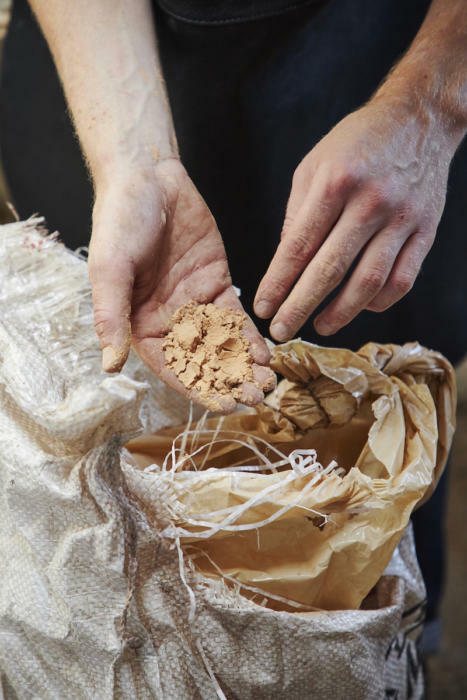 As mentioned, Billy Tannery is in the first stages of developing its own products, which can be seen on its site and in person in the window of the Temper restaurant in London’s Soho. I’m particularly interested in using the leather for outerwear, and we’re currently working on a plan to tan something in a desired colour and thickness, and then work with Cromford Leather to make it into a bespoke piece. 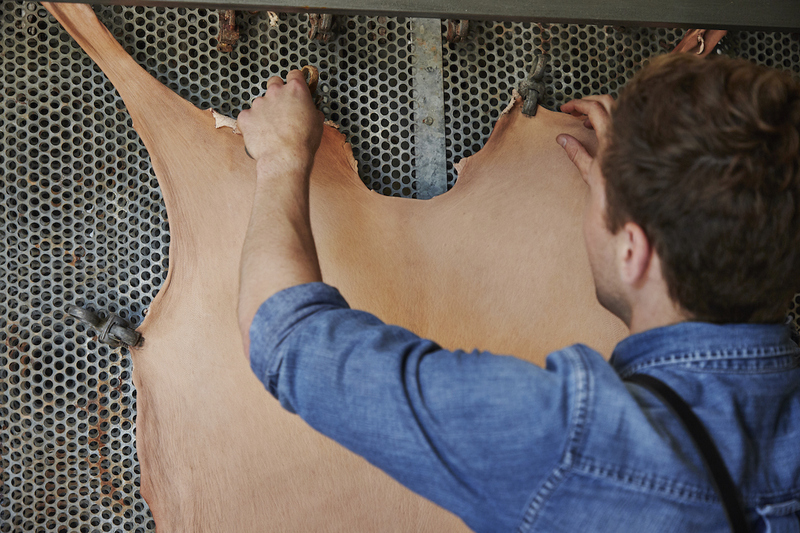 A leather jacket, from farm to finish. Many thanks to Jack for his hospitality (and his Mum for the great local pub recommendation). 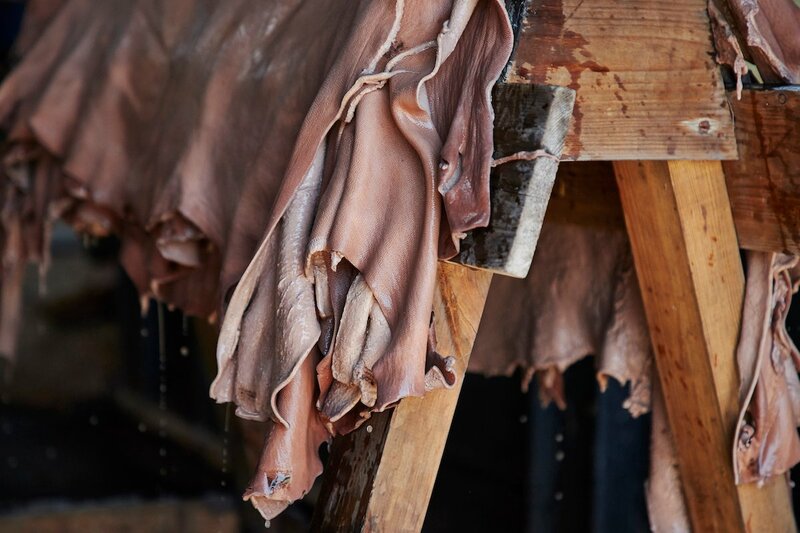 You can follow the discussion on How leather is tanned: Billy Tannery goat leather by entering your email address in the box below. You will then receive an email every time a new comment is added. These will also contain a link to a page where you can stop the alerts, and remove all of your related data from the site. I’m not normally as interested in these types of articles about the factories , craft etc , but this is just BRILLANT ! Beautifully written , not crossing into the boredom geek / nerd area and great to hear of a small operation that’s truly entrepreneurial and looks to be ecological . Love the fact he’s making something of value from stuff that was previously discarded. It’s interesting Simon that in the last few weeks you’ve had what I think are some of your driest pieces (the style breakdowns) and some of your more emotional (for want of a better word) content with this and the Sartoria Pasinato story. I don’t imagine that seeming divergence in style is conscious, but I find it interesting. Both forms are great, and useful in their own ways, but I have to say I thoroughly enjoyed the more personal flourishes in this and the Pasinato piece and would enjoy more along the same lines – the enthusiasm is very transparent and quite contagious! P.S. 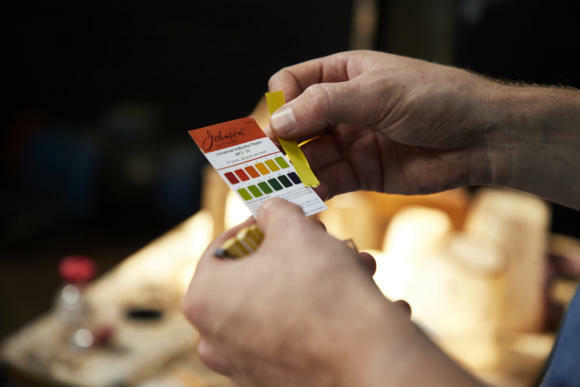 A real nit-pick just to offset the positivity – technically that’s not Litmus paper (which goes blue or red) but universal indicator paper, which shows you the pH range rather than just acid/base. I guess pieces that are trying to build into a comprehensive, consistent are often a little drier? Completely agree. I also like that this takes a focus on a rural operation. This is great writing, Simon, thanks. Have you had experience with goat leather outerwear before? I thought it was mostly used for gloves. I’ve tried a few pieces on but never owned any, it will be interesting. Have a goat leather watch strap from Equus Leather and love the texture of the leather, was disappointed when they stopped using it. Isnt the timeline above exceptionally quick for tanning goat skin? I thought the average was about two months but the above seems much shorter (ignoring any delays for transportation between sites). 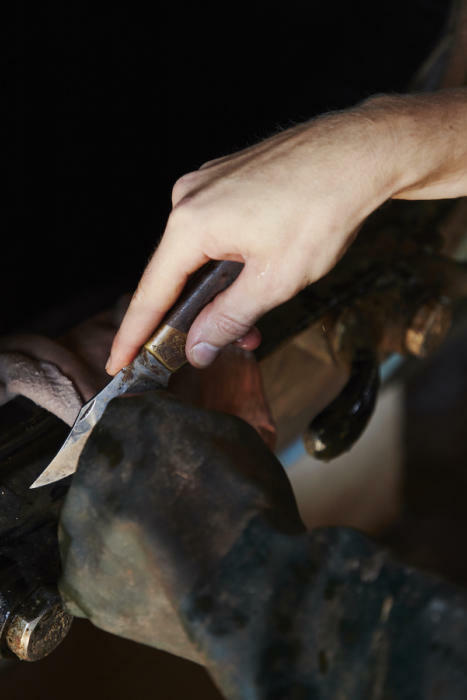 I’ve read many, many articles on the tanning process when I became interested in leather and – don’t ask me why – there are few to none that break it down in such an easy and introductory way. You’re doing a great service to the industry. Maybe the aspect of dying/finishing could be explained in greater detail (which is done by someone else in Jack’s case) and also the difference between full-grain, top-grain, genuine leather, suede, etc. But that would also make things more confusing again. Love Jack’s curiosity and passion! Thank you for the article on Goat tanning. I use goat in crust form, and have to import it from Bangladesh, but the quantities are crazy now. So I’ll be off to Billy for some hides. Thank you for an excellent article and such beautiful photographs. I look forward to your visit to Barker’s because I just used their leather for insoles on a pair shoes. Does Jack sell directly to the public or is purchase through an agent? It is Baker’s (J & FJ Baker Co Ltd), not Barker’s, that does the oak bark tanned leather. This error is repeated a couple of places in this article and it’s introduction. If you’re going to go full farm to coat, I think you need to eat the goat from which the skin/hide will come! That’d actually be fairly easy to do as the goat is used in restaurants like the one mentioned – I’ll see if I can do that too! 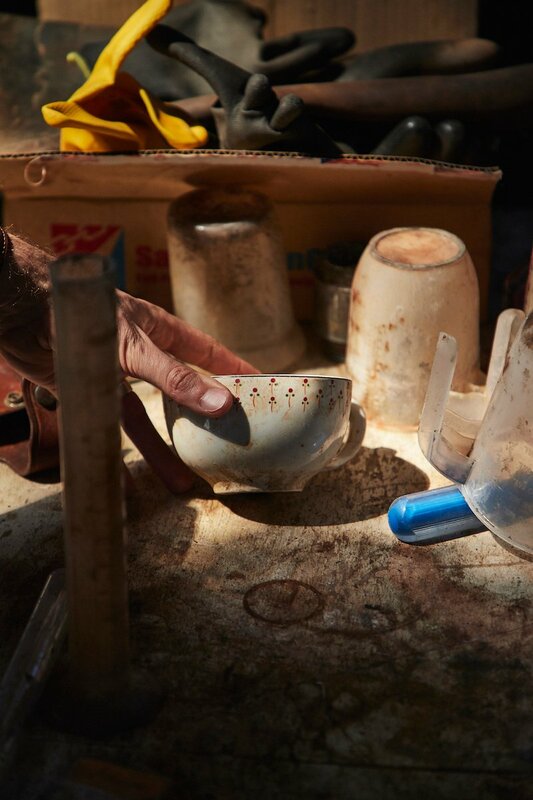 This article reminds us how much work goes into the materials we take for granted. Anyone who visits a factory processing raw wool, leather and cotton is struck by the smell, hard graft and time needed to produce just the basics of what goes into fine clothes and shoes, even before the additional processes lavished on the finest examples. Another reason to take good care of and cherish the items we have in our wardrobes. Ever since I bought a pair of Cheaney Spitfire shoes made from goat leather a couple of years ago I have been wondering why more shoes are not made from this material. My shoes are tough, have plenty of character and are very comfortable. I image it would make a wonderful leather jacket – I am very jealous. I look forward to seeing the final product. Sort of. Goats are smaller than cows. So you get a lot less area to work with. You can just about get two pairs of shoes out of one cowhide if you’re extremely skilled and if the hide is perfect. With goat hide, one pair is all you could manage. It’s also a question of profits, the cost of raising goats and cows, the other profitable stuff you can do with them (slaughter them, milk them), the climate required, the diseases they catch, the quality of the hide, etc. How does it compare in comfort to calf leather? What are the cons of kid leather vs calf leather? Terrific article! This is the type of writing that has met me a regular reader over all the years. Thank you for the continued depth you provide to the industry!